First, it was global warming. When that didn’t pan out, it morphed into climate change, though still with an emphasis on rising temperatures that would supposedly one day melt the polar ice caps and flood the world’s coastal areas. 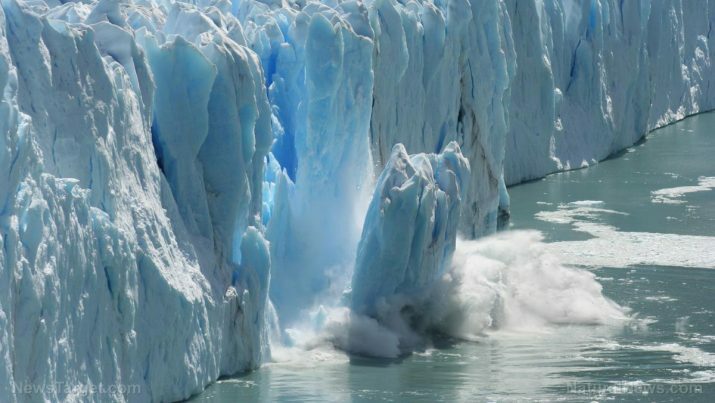 Now, there’s a new twist on climate change that emphasizes cooling because apparently in some areas there’s actually more ice than there was in years prior, completely debunking the myth of global warming. A team of researchers from Canada is pushing this new cooling myth after an Arctic sea expedition they had planned had to be canceled due to too much ice. The Science Team of the Canadian Research Icebreaker CCGS Amundsen had to call it quits on the first leg of its 2017 Expedition because of hazardous, southward-moving Arctic sea ice that would have put the ships at their destination far too late to meet their research objectives. According to an announcement made by the University of Manitoba, the extreme ice conditions were definitively “caused by climate change,” though the school offers no insights or proof explaining why. Despite the fact that the world has been repeatedly told that climate change means warming and melting, somehow this cooling event that created more ice is also a product of climate change. It’s more than a bit humorous to peruse these old headlines and magazine covers to compare and contrast the messages they tried to convey. We were all going to die because the earth was cooling, but now suddenly we were all going to die because the earth is warming. Which is it, and why all the conflicting information? The truth of the matter is that the earth is always in a constant state of flux, changing from slightly cooler to slightly warmer to slightly cooler to slightly warmer – and on and on like this as it’s always been. Climate change is the very nature of our planet, and it’s nothing to be afraid of (unless, of course, you have a global carbon tax agenda to sell to the ignorant masses).